We are a family owned and operated dealership that knows that our customer service is our business. We dedicate our staff to strive to make sure you get the service you deserve. 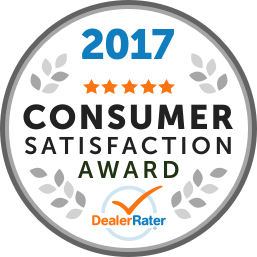 Thank you Edmonton for your review's and votes for honoring us as your Consumer Choice Award Winner for Automotive Excellence! Give us the opportunity to make you next purchase fast, fun and friendly! Great service always quick & well done for our 2017 Elantra - which is an excellent car with super gas mileage (as low as 4L/100 km) , comfort & reliability. Starts no problem in winter -33C without plug in ! 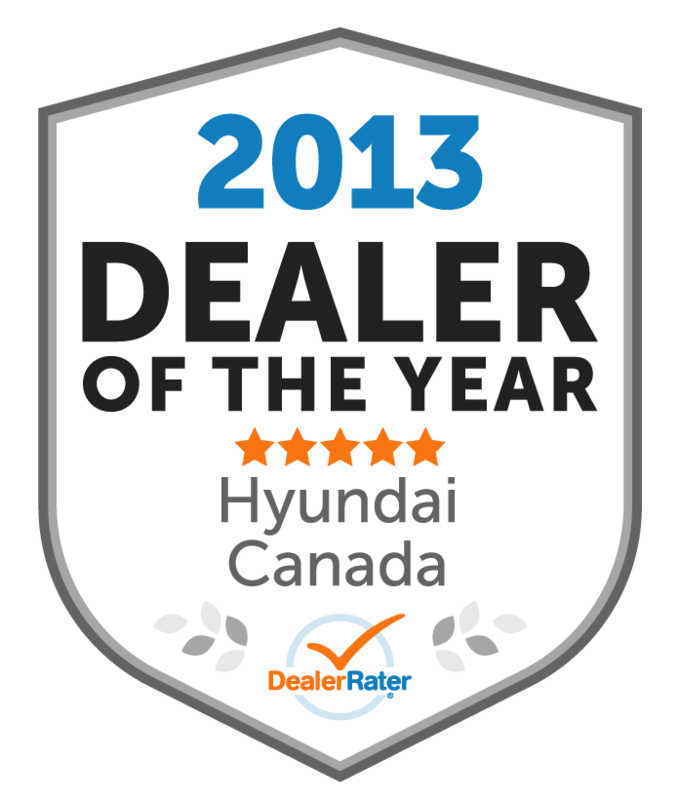 Dealer well organized, very courteous and trustworthy. Sales & finance quoted our discussion without error on extended warranty a from a year ago. Get the dealership extended oil change program & Lubrico warranty - totally excellent savings & coverages ! Highly recommended ! "One out of 20 ant bad "
So there we were going from one dealer to another hopping looking searching . 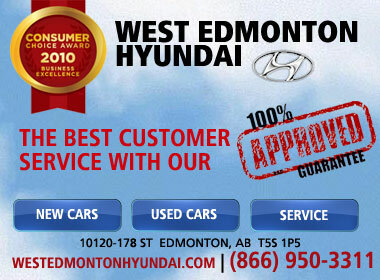 It was specific car granted ,but we wanted a good reliable car not one with problembs that they say isnt a problem. Some said they just sold it some said they dont have it some never heard of it and gave us a funny look . Just had 2 lemons you could say no thanks we said.Spend all day in red deer the day before and nothing. Thought we had a good one in edmonton so off we went today. Traveling 3 hours to go see. Just when all hope was lost, well what about that one? We’re in edmonton now. Lets go see maybe just maybe. Thats when we met Alan Sugiyama. Here we go again we thought . But wait what is this. he listened? He had one ? Its here ? Cant be true right ? Showed us 2 other ones quick . No thanks not quite it . Ok he says well the one you asked for just pulled up. Ok cool lets go see. It looks good.... its got what we want .... its in our price range ... hmmm ok what about a drive? Got the keys right here he said . Ok cool lets go . As we drive he makes small talk really nice guy hes got a wife and kids. Then he startes talking about the car was driving fine good nothing wrong woth this one it seams. So this is the work we did on it alan said. and wow they accualy fixed the problems before reselling awesome got the shop paper work in hand. Make it back to the dealership in one piece ok well show me the carfax gotta be something . Nope nothing out of the ordanairy just as alan said . Down to brass tax! This is what we’ll offer you .... ok alan said let me go see . Sorry cant this is what i need and we’ll fix this and this . . Hmmm ok what about this and you fix this ? That all we can do . Alan came back 2 mins later shook our hands and said you got it . No bs no well what about this other one what about a little more for a new one nope Alan got us what we wanted and all for a fair price and it maybe took 45 min . He was the best salesman in 20 dealerships we visited in 2 days. Nice understanding no bs and fun even got to ring the gong when we settled up. Alan Sugiyama at west edmonton hyundai in our opinion is the best salesman from red deer to edmonton hands down!!!!!!! Everyone we talked to at west ed hyundai was vary nice and not pushy at all was a vary awesome experience Thanks from Johnny and Jeleis!! !